If you plan to buy more than $125 worth of AMSOIL products annually at retail prices for your cars, boats, trucks, motorcycles or RVs, you can save money by becoming a Preferred Customer. As a Preferred Customer, you can purchase these upscale AMSOIL products at wholesale prices. The discount price is about 25% less than regular retail prices. The AMSOIL Preferred Customer Program operates much like a Costco or Sam's Club. You have a membership fee. You can choose a one-time trial 6-month membership for $10 OR you can choose the renewable 1-year membership for $20. Retail Customers and other Business Partners who want to own and develop their own home based business. people save money and protect their assets. That is fine and it is possible. The yearly fee for a Dealership is $30: for a PC, $20. to AMSOIL INC.'s outstanding monthly racing and application magazine, "Action News" at no additional cost. Air Filters, Trico Wiper Blades, NGK Spark Plugs, and Injen/AMSOIL Diesel Air Intake Systems. If you expect to move to a different city or state, we can continue to serve you anywhere in the United States and Canada. In many places, AMSOIL Dealers are hard to find. 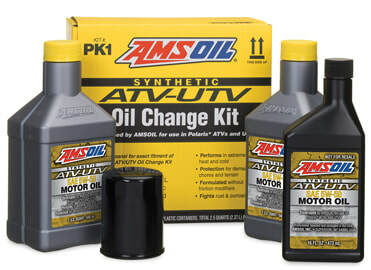 But you can move with the assurance that you will be able to get the AMSOIL products you need through Riech Synthetics in the United States and Canada. We are as close as your fingertips! You can call us and leave a message for an immediately returned call. You can email us with any questions you might have. We at 907Synthetics.com believe in building strong, long-term relationships with you, our valued Preferred Customers. If you need further research (such as applications for motorcycles, large trucks, scooters, etc. ), Go to our Order Center Page for specific research tools. Here are your EASY Steps to becoming an AMSOIL Preferred Customer ONLINE. Please feel free cut and copy the instructions below, if you wish. 1. 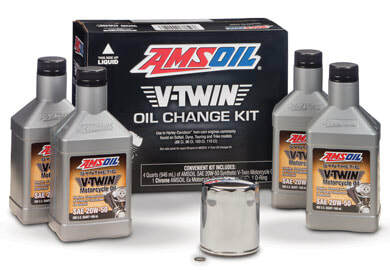 First, Click HERE to go to the AMSOIL Online Store. 4. You will get a "Thank You" page and instructions if you desire to order products at this time. You have 20 minutes to complete your registration. "drop-down" lists will be added to your cart. When finished, click "Checkout." 5. IF you desire to ONLY register as a Preferred Customer at this time, click on "Checkout" after you register. 7. Enter your name, email and password to "Create Your (PC) Account" with AMSOIL. products arriving at your door soon! 9. Sit back and have Peace of Mind. You have just joined the happy ranks of thousands of Satisfied and Highly Valued AMSOIL Preferred Customers! Go to the Contact Us tab-Fill out your name and E-mail section and I will Email or fax you the form to mail in. If you have questions, please call us at 1-907-350-7366 or email us today. If you live in Canada, simply request the Canadian application and include our name and customer number (1245102) on the form. Then follow the instructions above. Call 1-800-777-7094. Be sure to give our name or our ID number 1245102 when asked by the operator for a "referral number," a "ZO number" or a "customer number." can build his own profitable AMSOIL business. We at 907Synthetics.com thrive on supplying business training to our Business Partners to help them achieve their Business Goals with AMSOIL distribution.